India is the second largest producer of footwear only second in the global list after China, producing approximately about 9% of the global annual production. When it comes to footwear, being industry specific is not what occurs to consumers at the first go. Yet, the facts underlying the functioning of this essential part when it comes to fashion, is as much market centric as any other branch of business. So some of the young entrepreneurs talk about the footwear industry and reveal some of the facts which would otherwise miss out on us. The Economic survey 2017 revealed that India has a great potential in this sector in terms of export as China is losing out on market share due to rise in wage level. Kolkata based designer, Rohan Arora, who lunched his line almost a decade ago gave us some interesting insights into the industry. When it comes to footwear Indian market is driven by cost effectiveness which practically is the one factor when it comes to buying whether designer or regular footwear. He said, “Cost effectiveness is making us compromise on quality” when was asked about the trends in the market in terms of brand preference and consumer behavior. Local brands don’t invest in moulds or the raw material and that is where luxury brands stand out whose ultimate goal is to provide a comfortable and a fashionable experience. In the last five years, Indian footwear export has witnessed a growth of 20% due to hiking demands in the European nations and also the trend of major importing countries to shift their focus from China to other low cost producing countries. Indian footwear market can be classified into three segments, mainly, Men’s, Women’s and kids. 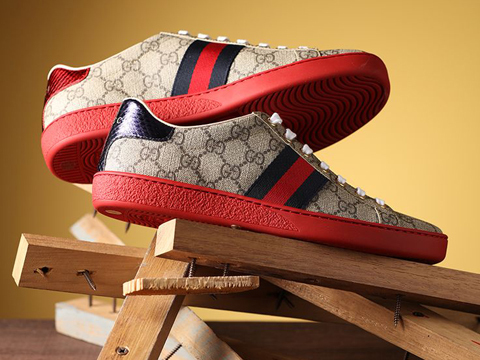 Men’s footwear segment is undergoing a growth rate of 10% and contributes about 60% of the total sale as compare to the women’s segments share of 30%. But the estimated growth of the women’s footwear segment is higher than that of the men at 20%. The footwear industry is divided in a ratio of 1/3 and 2/3 between organized and unorganized segments respectively. The reason can be attributed to the fact that Indian consumers are conscious about price but as the recent changes suggest, there has been increased awareness among consumers about global brands, fashion trends along with increased household income which gives as positive thrust to the industry. Aakash Saikia, co-founder of Chalk Studio based out of Delhi said that the impact of GST on the footwear industry can be expected to leave an overall positive impact although there might have been short term negative effects. One of the positive impacts, he pointed out was, some of the larger players in the industry who were previously depended on smaller retailers or producers will find it difficult to absolve taxes under present regulations while more and more smaller manufacturers will now fall under the new tax regime. With the application of one single tax, inter-state trade have also become smoother according to Saikia. There are several challenges that are to be dealt with, although the sector shows growth in terms of export, job generation especially for women and unskilled force. According to the survey, Bangladesh, Vietnam and Indonesia are coming up as quick competitions to occupy the market space created by China. Other scores of factors like logistics, labour regulation, tax and tariff policy as well as environmental concerns as compared to other companies in the industry are some of the concerns that are keeping the players on their toes.